View Poll Results: Do you think Google will exit China? 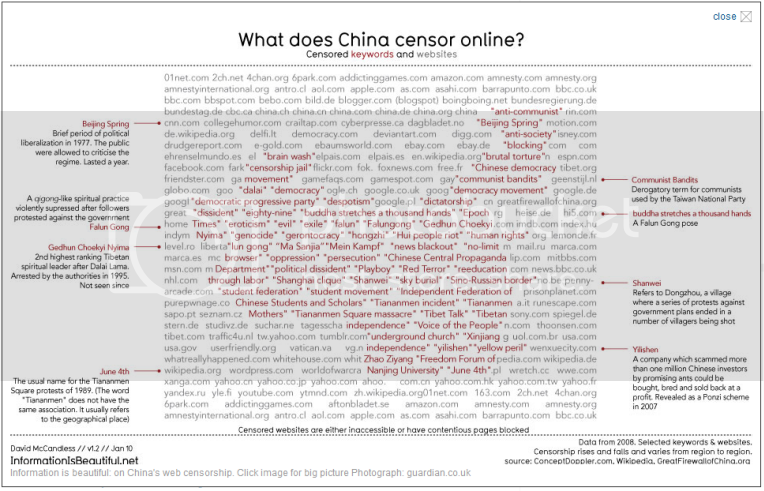 Here is a list of censored word & websites in China from Guardian. Do you think Google will exit China? Apple.com? That's a bit naughty considering 90% of Apple products are made in China, and how are the Chinese supposed to download and use itunes? I vote everyone out of China. The world will survive. ^^ I dont think apple.com is blocked. Only the words in red are blocked! Words are in red, websites are in the background. I think that Google is not really interested to exit from China... because it is trying to reach more guarantees about recent online attacks. I don't think Google will quit. Words have been shown in red only to portray the map of China, otherwise all the words in that list are censored.